I have found writing from Republicans who were there and helped, that the GOP had a team lead by Madame Chennault trying to cut a deal with the South to turn down the Paris peace accord. The NSA was tapping the whole thing, but LBJ could not use it. It was so highly classified he could not tell anyone about it. I have found bits of this in accounts of Republicans who are proud of doing it of, in one’s words, finally getting a Republican President. The names on the BLACK WALL both before and after the election of Nixon are probably from this. Getting a GOP President was, and is, more important than dead GI’s. It’s out there from Nixionits for years, but its one off the things the MSM works hard not to see. I’ve hoped for years for a freedom of information act to open this up. I will bet Nixon had other things in NSA files to worry about. Robert Parry has once again demonstrated why he remains one of America’s greatest investigative journalists. 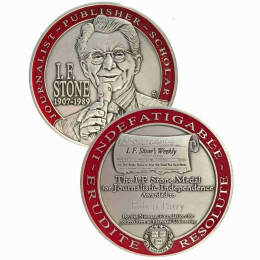 He has for decades doggedly stuck to reporting each and every new machination and sordid revelation relating to the Reagan/Bush 1980 campaign’s “October Surprise,” of their negotiations with Iranian officials concerning the 52 Americans held hostage in Tehran and corrupt arms deals preceeding the Iran-Contra Scandal. In this outstanding article above he keeps alive the quest for historical truth directed at the Nixon/Agnew 1968 campaign’s “October Surprise” concerning GOP sabotage of Vietnam peace negotiations. Others may be content with the Walt Disney version of history as told by court historians, the mainstream media, and other apologists for the regime du jour. 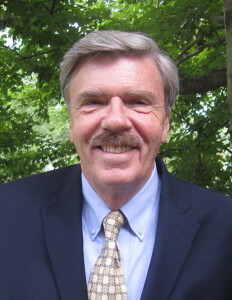 Robert Parry, Peter Dale Scott, Jim Hougan, Douglas Valentine, Russ Baker, Anthony Summers, Pete Brewton, Roger Morris, and Sterling Seagreave are a few of those who continue to speak truth to power. For those of us who want to know the truth about the world around us and how it got that way, we all remain gratefully in their debt. anarchteacher: I agree with you and Robert Parry that both Nixon and Reagan were demonstrably guilty of treason. 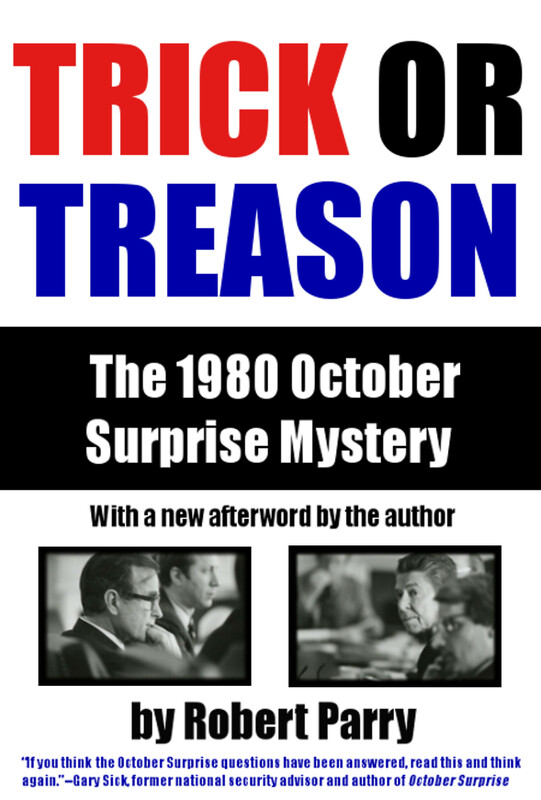 One of the definitions of treason is to conspire to negotiate with foreign powers in opposition to US foreign policy, which is exactly what Nixon was doing in encouraging the South Viet Namese to boycott the Johnson initiated peace talks, and what Reagan was doing in encouraging the Iran hostage takers to not make a deal with President Carter prior to the presidential election because Reagan’s people would offer a better deal, if electred, if the Iranians would refuse to settle the hostage crisis before the election. Reagan’s deal included arms for the Iranians and money and hostages for the US that the Reagan administration would later use to support the Contras in their efforts to illegally overthrow the Sandinista government of Daniel Ortega in Nicaragwa. The truth is LBJ was also guilty of treason and not only because of his involvement in planning and covering up the JFK assassination. In addition, he was pimping for the US military and CIA in their opposition to JFK’s Viet Nam policies, even while he was on a diplomatic mission as the representative of President Kennedy (during which he sabatoged Kennedy’s communications with Viet Namese President Diem). This is well documented, along with a lot of evidence of LBJ’s traitorous involvement in the planning and cover-up of JFK’s assassination in James W. Douglass’ excellent over-view of the facts behind the assassination, “JFK and the Unspeakable – Why He Died and Why It Matters” (pub 2008). So all three: Johnson, Nixon and Reagan were guilty of treason, but never charged. Gov’ts and corporations are liars. Leadership is the lie that enslaves us now. Stand up as one. One love. What a great story, and good comments too. Perhaps it is worth noting that anti-constitutional, undemocratic regimes are potentially lethal not only to the proles but to the elites as well. These elitists are as factionalized as any little left-wing group but are composed of personalities unaccustomed to having to give, as well as take. We should dig up Nixon AND Reagan, put them on trial with Poppy Bush and Kissinger, and treat them like the traitors that they are. Look at how much suffering and grief these ‘people’ (I use the term loosely) are responsible for. And Kissinger is still free and running his foul mouth to this day. But then again, so is Poppy Bush. If there really is a Hell, they’re rooms were reserved there eons ago. Soulless foul creatures that they are. Sure does ring familiar when you dump in the latest info about GHW Bush and William Casey going to Paris secretly to pull off his October Surprise with the Iran hostage negotiations to blow Carter out of the presidency. We are still not sure about Kennedyâ€™s Dallas death as being run by the same group of GOP henchmen. mentioned it again. He knew he was being surveilled by Johnson & vice versa. Because, he knew what Johnson knew and could blackmail the crap out him – and consequently himself, bringing down the American Government as we knew it then. Which would have actually been a very good thing compared to the blatant criminality that runs rampant throughout Congress, Intelligence, and Justice Agencies and Departments now. 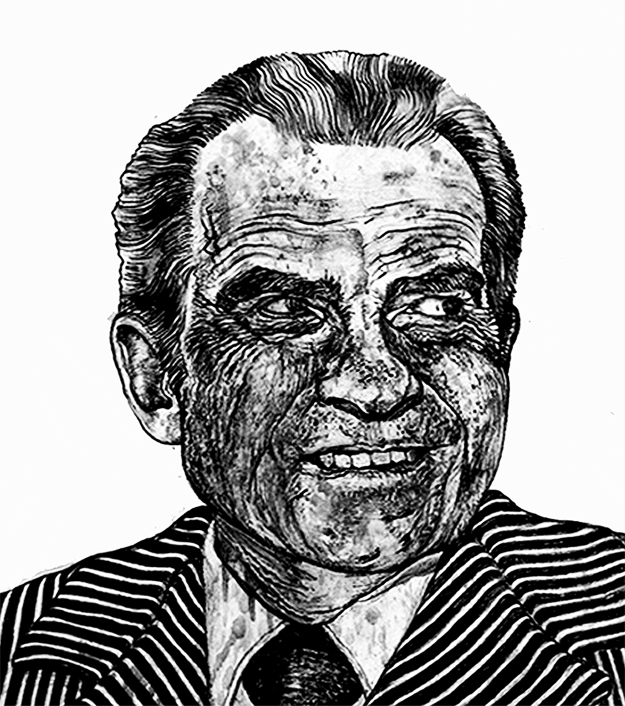 Mr. Parry needs to reassess Nixon’s Darkest – from a place of reality rather than obfuscation. Who did the assassination of JFK benefit the most ? The public was not told for DECADES because of National Security. The book by Michael Collins Piper finally confirmed what the public was never told. And thank you for writing this article which documents my suspicions about the 28,000 wasted American soldiers’ lives thanks to Nixon-Kissinger. Now that Osama Bin Laden is dead, that returns Henry Kissinger to the position as the Most Evil Person in the world in terms of wasted lives lost. Because you realize Osama bin Laden and 19 Saudis could not possibly have pulled off the feats attributed to them in the ridiculous offical 911 fable. Bin Laden and Al Qaeda would have been nothing without the CIA, who organized, funded and maintainted them in the biggest covert war operation in history. After serving as US proxy foot-soliders, bleeding the Soviet Union to death, they and their Wahabi proclivities made them the perfect just-add-propaganda fall-guys for the US covert governnment’s false-flag 9-11 terror campaign. We are still not sure about Kennedy’s Dallas death as being run by the same group of GOP henchmen. Some of us are fairly certain. CIA working with the Cuban mob and Texas oil billionaires. Agreed, but that should be the Anti-Castro Cubans and the American mob who had formerly had important holdings in Cuban and were thrown out by Castro. Also,don’t forget J. Edgar Hoover’s FBI and “Lyin’ Lyndon” Baines Johnson. The truth about the entire article is that LBJ secretly helped Nixon get elected because he did not like Humphrey, and he did not campaign for him. He thought HHH was too liberal for Johnson. Too bad LBJ turned out to be a traitor and liar. LBJ manufactured the Gulf of Tonkin incident, and lied repeatedly about the progress of the war in VietNam. He escalated the war so Lady Bird could make a killing on defense stocks. We all need to listen to Ike about the insane military congressional industrial complex and kill it by cutting off its head now. Pure speculation and opinion, Pat. Just plain hooey. Thanks again Mr.Parry for your writing. I was then a Marine stuck in Vietnam, 4/26/68 to 5/18/69. My folks, though both Democrats, voted for Nixon because they wanted their eldest child to come home from war ALIVE, and because of Nixon’s ‘secret peace plan’ that never existed. Oh, and by the way, they voted for McGovern, as their eldest son did, in 1972. Semper Fi sir! Sad to say, truth often loses its initial battles with fiction. This is a little more than what Nixon did. If he was caught, even late, perhaps Reagan would not have been reelected because as Barbara Honegger points out Bush made a secret deal with the Iranians not to release the hostages before the election. So, history will repeat if we forget it.